every corner. 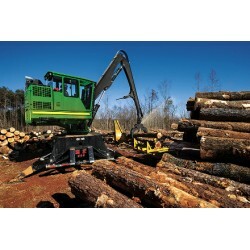 Workers must deal with heavy falling tree logs that are prone to rolling and sliding in tough weather conditions. On top of the sliding logs the heavy machinery and loud atmosphere make it difficult to stay connected between workers, isolating individuals and causing serious safety risks. Runbo’s uniquely built rugged smartphones can alleviate all your communication issues, giving constant and reliable wireless communication to all your forestry team members in a compact ultra durable device. Runbo Communication Devices all carry the same standards in durability. Runbo rugged smartphones are waterproof, dustproof, shock resistant, temperature resistant, chemical resistant and are even capable of surviving a 1.2 metres fall. Conditions in the forestry industry will be no match for the ultra-rugged, military grade level of durability that Runbo devices provide. The PTT (push-to-talk) and POC (push-to-cellular) features on Runbo rugged smartphones allow team members to stay connected with just the press of a button, outperforming two-way radios in every way. PTT enables instant group coordination between loaders, and choppers as well as site managers keeping operations running smoothly and efficiently. With the POC feature your team can stay in contact with each other even when workers are at opposite ends of a huge forest, unlike two way radios which generally operate only within a radius of a few kilometers. POC requires no licenses and is simple to configure. Runbo’s unique work-smart tools and apps can help keep workers safe and out of hazardous conditions. Remote areas associated with the forestry industry require extra care to ensure communication is possible at all times. The SOS alarm is a programmable button that allows an analog signal to be sent out in times of distress. This feature allows forestry team members to remain in contact if wireless signals are down or even if there are no wireless signals in a certain remote area. The man-down-alert is also a useful safety feature that can automatically report emergency accidents to co-workers or dispatchers when a worker is found to be not moving, ideal for detecting car accidents where drivers are knocked unconscious. Runbo understands that time is money and as such minutes lost can be thousands of pounds down the drain. To keep work running smoothly as well as enhance worker efficiency Runbo has included certain performance enhancing features in their rugged smartphones. Runbo Communication Devices are equipped with NFC chips and antennas which have the potential to reduce the time it takes for Mill Managers to process lumber loads. Also, the Time Sheet Tracker and QR Scanner applications can be extremely helpful giving workers the added benefit of being able to manage their projects and keep records of the work as well as exchanging information seamlessly without hassle. One of the most important features of Runbo smartphones is the uber long battery life. 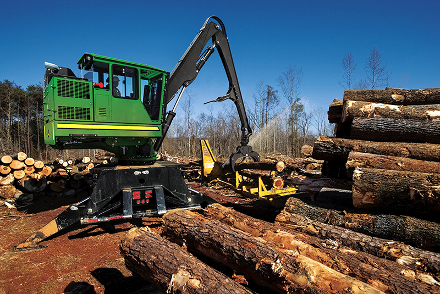 The Q&X devices can provide up to 25 hours of talk time which can be extremely important for Forestry workers who spend long hours in the field. Buy Runbo Smartphones today and enjoy quality and affordable communication solutions for all your needs in the Forestry Industry! With some of the lowest prices the rugged phone industry has to offer every team member can be part of the communication stream. Don’t hesitate, call the number listed on this website now and let our award winning customer service engineers help you design a plan uniquely tailored to suit your needs.